If you’ve built a website, there’s a pretty good chance that you’ve used a Google Map, as they’re simple enough to use and beneficial to the end user. It’s as easy as apple pie to copy the Google Map embed code and paste it into your website. 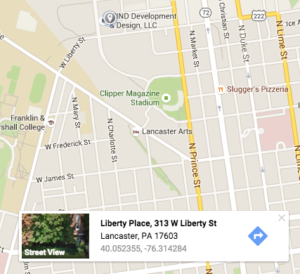 If you’re using WordPress, you can also include a Google Map with a plugin. But what if you’d like a little more customization? 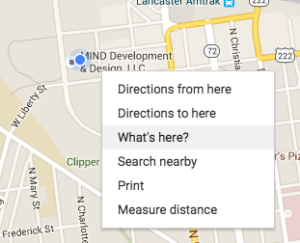 Here’s how you can include a map yourself using the Google Maps API. Of course, you’ll want to substitute the 600px for whatever height best suits your needs.You may also want to do the same for the width, again, depending on your needs and your layout. The Google Maps API documentation suggests also adding a height to the HTML and body tags to ensure that any inherited divs are not sized at 0 x 0 pixels. You may or may not not need to do this depending on your website’s style or theme, but it’s good to keep in mind just in case. Note: Saving the new map object in a variable is not strictly necessary at this point, but we will use it later for some advanced features, so we’ll just create it now. When the initMap function runs, we create a new map object. You can see we use the getElementById method to reference our previously created div with the ID of ‘map’. If you chose to name your ID something other than ‘map,’ you’ll want to replace ‘map’ with whatever ID you used. The Google Maps API has a lot of options, but only center and zoom are required. Zoom levels range between 0 (which is the full view of the earth) and 20 (which is building level). A typical zoom on a Google Map is usually around 8 or 9. I’ve chosen a zoom of 15 for this example to show a map with a little more detail. A small card will appear at the bottom of the map and you’ll see the latitude and longitude listed there at the bottom. You can use those settings for your center. Pretty cool, but what we have is pretty basic. What if we want to add some more customization? Let’s look at some additional options. scrollwheel – One thing I find annoying is scrolling down a page on a website, coming across a Google Map, and suddenly the map starts zooming and the page stops scrolling. You can prevent this behavior by setting scrollwheel: false on your map object. (True is the default) And don’t worry, you’ll still be able to zoom in and out using the zoom control. zoomControl – These are the (+) and (-) buttons, enabled by default, that allow you to zoom in and out. Set the zoomControl to false to remove them. zoomControlOptions – By default, the zoom controls appear at the bottom right corner of the map. You can change the position to any of the other corners, or have it centered along any of the sides. For example, adding this code will vertically center the controls along the left side of the map. streetViewControl – enabled by default at the bottom right of the map, this control is the “Pegman icon” (as Google calls it) that users can drag and drop onto the map to see a street view. To remove it, set the option to false. Similar to the zoom control, the position of this control can be moved using the same control positioning. The code below would place it at the top left. fullscreenControl – this is a feature that is disabled by default. Use fullscreenControl: true to enable it. As you might expect, it gives you a control to allow the user to put the map in fullscreen mode. scrollwheel:  false, // prevent mouse scroll from zooming map. As for the script files, rather than sticking them in the header or footer of our theme, we’ll load them using the wp_enqueue_script function in our functions.php file. We’ll again use a file called map.js and the code from the previous example to create our map. And again, you’ll want to replace YOUR_API_Key with the API key you get from Google. Your theme’s functions.php file will likely already include a wp_enqueue_scripts hook that loads any scripts and styles. If so, you can enqueue you scripts at the bottom of that function. If not, you can create your own function and ‘add_action’ hook. Now, let’s say we only want to load these files on one page on your WordPress site. We’ll use a simple conditional to prevent these scripts from loading on every page. Let’s assume our map is on a page called “contact.” We’ll use the WordPress is_page() conditional and pass in the name of the page. You may have seen this effect before on other Google Maps. A ‘pin’ drops down and lands on the desired location of the map. We’ll do the same, but with the added twist of our own custom image. At the bottom of our initMap function we’ll create a marker object and add our custom options. So, what’s going on here? First, we are creating our map marker object and saving it as a variable called ‘marker’. Just like when we created the map object, we don’t strictly need to save it to a variable at this point to make it work, but we’ll do so now as it may come in handy later. For the position, we’re using the same latitude and longitude that we used for the center of the map object. For the map option, we want to refer to the map we’ve just created, so we’ll set it to that ‘map’ variable we created when creating the map object. Now for the fun stuff…the animation. If we stop now we’ll have a nice marker on our map, but there won’t be any cool movement. So, we’ll set the animation option to google.maps.Animation.DROP. This ‘drops’ the marker in from the top of the map when it’s loaded. Currently, the only other supported animation option is BOUNCE, which makes the marker repeatedly ‘hop’ like a pogo stick. We’ve also added a title option. This allows you to specify text that will be displayed when you hover over the marker, such as the name of your company. Finally, we add the custom marker icon. This is where you can really get creative and choose your own custom image as a marker. 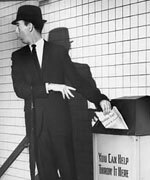 Here you set the url to the location of the image file you wish to use. If you need to scale the image, use the scaledSize option and pass it the scaled width and height of the image in pixels. If the image size is fine, simply omit this option. Now, we should have a map with a custom marker that drops in from the top when the map is loaded. See the Pen mVaMEE by Andrew Gehman (@AndrewGehman) on CodePen.